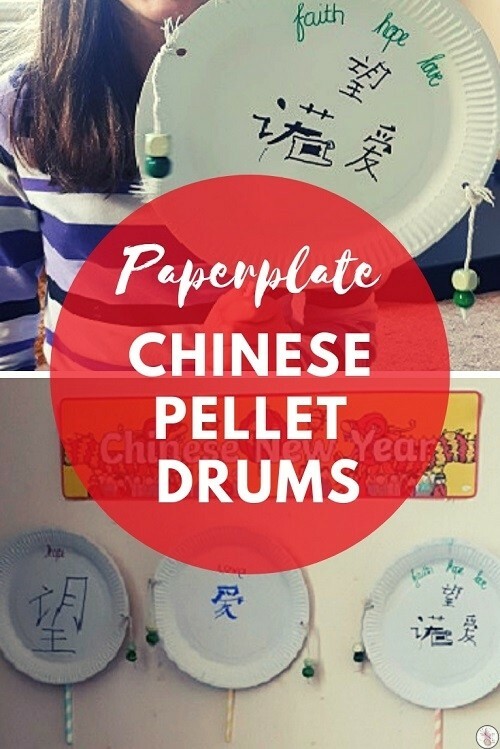 We didn’t go overboard with crafts this week, what with trying to get back in the swing of things after my time away and all, but in our Chinese New Year celebrations we decided to make some Chinese Pellet Drums to get us in the mood for our learning. 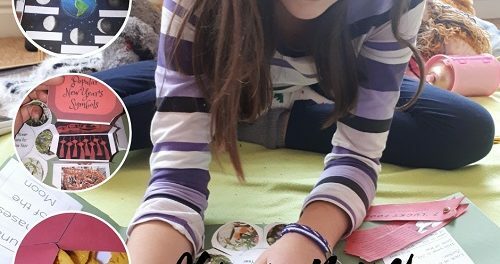 I love giving the girls a simple craft to do while we explore what they already know about whichever topic we’re discussing, or while I read something to them about it. Use tape to attach the paper straw to the back of the paper plate. We used an old packing tape and it held well. 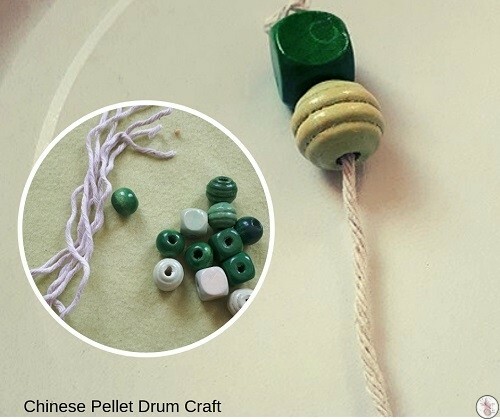 Cut two lengths of string per pellet drum. Cut them about the width of the plate, just a little shorter. Once you’ve made a knot at each side, the string should reach about the middle of the paper plate. Thread two beads on each string. 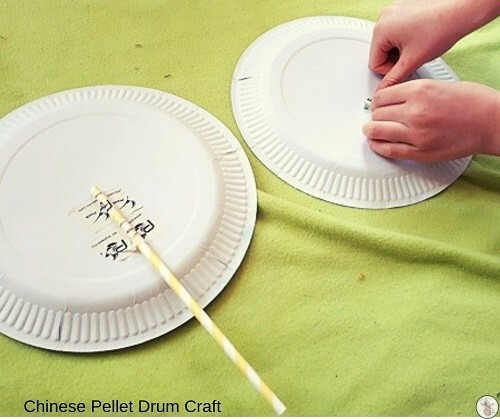 Make a hole on each side of the paper plate and attach the two pieces of string to it. 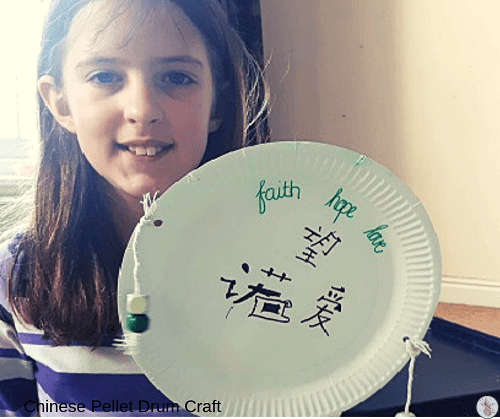 Look up the words you’d like on your ‘drums’ – we went for faith, hope and love. 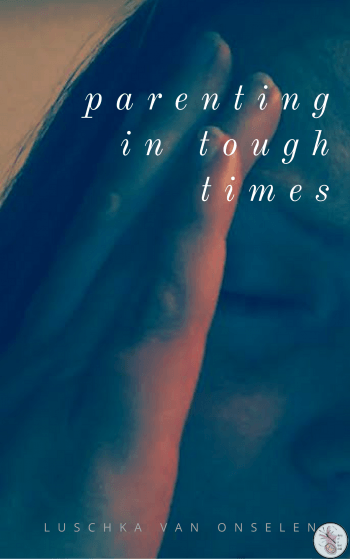 Aviya and I put hope and love on our drums, but Ameli being the little over-achiever she is, went for all three – faith, hope and love. 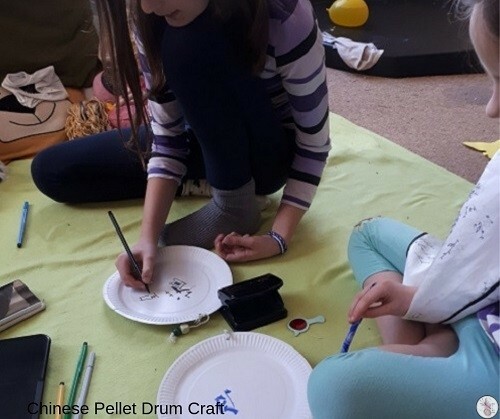 The finished product can be rolled in your hands and gives you a good idea of how the pellet drums work, without being incessantly loud. In the end we have a craft that adds to the theme and decor and is almost entirely recyclable at the end of the year – bonus. The lapbook below can be found here, and the header is a free Twinkle download. 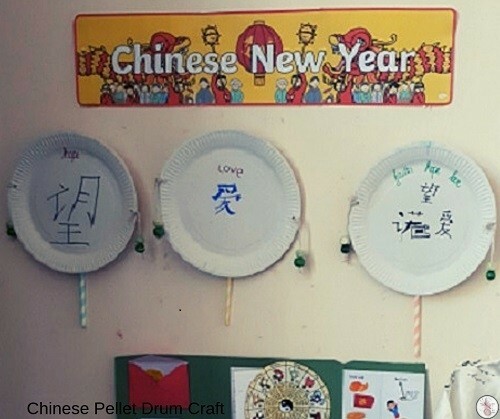 This is a really quick craft, a great opener for a day spent learning about Chinese New Year.